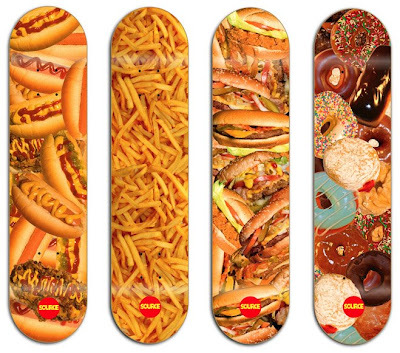 SOURCE FINE DINING SKATEBOARD SERIES SNEAK PEEK! Posted on May 28, 2008 at 4:41 pm. For those of you who didn’t catch the ad in the new SBC Skate (featuring Source ripper Sean MacAlister), here’s a quick preview of our new “Fine Dining” series. So bust out the wine glasses, fine china and expensive silverware folks, the Fine Dining series will be wetting your appetite at all Source locations and on Sourceboards.com in June!